Deltares provides state-of-the-art monitoring, modelling and forecasting software and tools. We analyse the urban system using renowned and internationally applied tools. 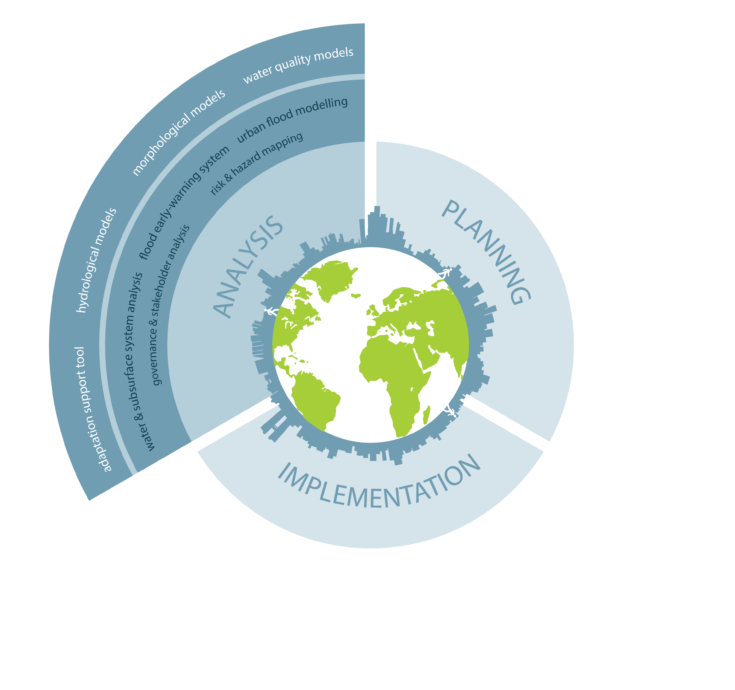 Rapid assessments for instance allow for a quick scan of the main challenges, risks and opportunities of the biophysical layer in a particular city, while our governance diagnostics tools help understand the complex dynamics of the urban governance system.